Today, Casa Loma is one of North America’s most enchanting tourist attractions and best hospitality / special event venues. 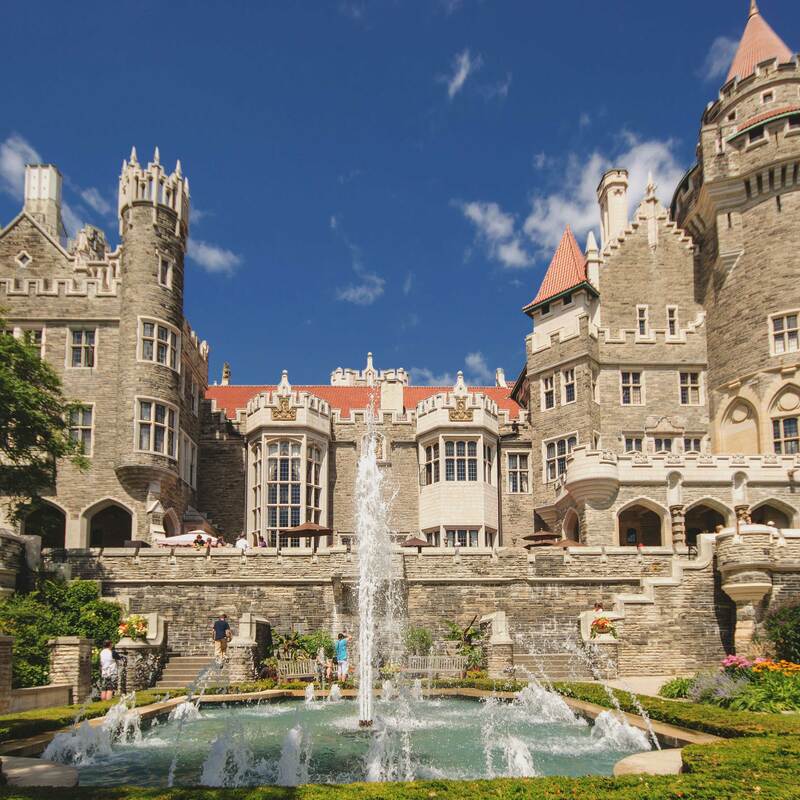 Each year over 500,000 visitors tour Toronto’s Casa Loma and the historic estate gardens. A perfect backdrop for special occasions, Casa Loma also plays host to over 250 private functions and special events annually. The unique architecture has also made it a highly sought-after and unique location for film, television and photo shoots. In January 2014, The city of Toronto awarded the long-term lease of the historic Casa Loma to Liberty Entertainment Group. Liberty Entertainment Group operates Toronto’s Castle as a unique special event facility as well as maintaining and enhancing the tourism and Toronto attractions grand experience. Liberty Entertainment Group’s President & CEO; Nick Di Donato continues to prove his commitment to preserve this historic Toronto attraction, with numerous improvements already made to enhance the event and dining experience; he also plans to integrate new technology for school and even more cultural programming. For over three decades the Liberty Entertainment Group, led by Di Donato, has been redefining Toronto and Miami’s restaurant, nightlife and special event experience. As developers and operators of numerous historic landmark establishments, the Liberty Entertainment Group has become recognized as one of the most successful and innovative companies in the industry. The Liberty Entertainment Group has gained global recognition by developing and operating an impressive roster of unique venues rich in detail and originality. Their portfolio includes Toronto landmarks; Casa Loma, Liberty Grand Entertainment Complex and some of the city’s most prolific restaurants; Rosewater, Spice Route and the renowned Cibo Wine Bar brand of Italian eateries. Over five years ago, Liberty Entertainment Group successfully established operations in the US market with the expansion of the Cibo brand in South Florida and the internationally recognized Coral Gables Country Club. With over 500,000 square feet of venue and hospitality space, the Liberty Entertainment Group caters to a diverse clientele of upwards of 1.75 million people per year including A list celebrities, sports personalities and leaders from every industry. Visit libertygroup.com for more information.